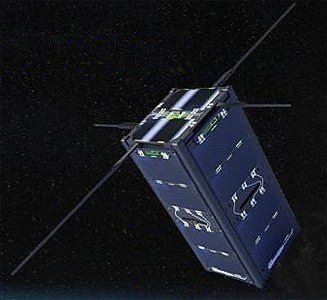 VisionCube 1 is a South Korean 2U-CubeSat designed by the Korea Aerospace University to perform research on Transient Luminous Events in the upper atmosphere. The main objective of this satellite is to obtain images of Transient Luminous Events in the upper atmosphere. To this purpose, the satellite around the sun synchronous orbit with height of 575 km and inclination of 97.69° is designed to detect such events and obtain images from the onboard payload. The image processing payload consists of a multi-anode photon multiplier tube(MaPMT), a camera, and a real-time image processing engine built by using SoC (System-on-Chip) FPGA technologies. When the satellite flies over South Korea, it will receive telecommands from the ground station via VHF band and it will transmit the mission data and beacon via UHF band. Proposing a 9k6 GMSK downlink. Planning a SpaceX launch with SNUGLITE and SNUSAT-2 from Vandenberg into a 575 km SSO.